Who qualifies for a Veteran Indicator? NDCC 37-01-40(1) Veteran defined – Uniform service dates for wartime veterans. under other than dishonorable conditions. or words to that effect qualifies the shorter term of service as making the individual a veteran. A Veteran Service Officer needs to get a copy of your discharge papers (DD214) . complete and sign the SFN 59980 “Verification of Veteran Status for Veteran Indicator on Drivers License” form. 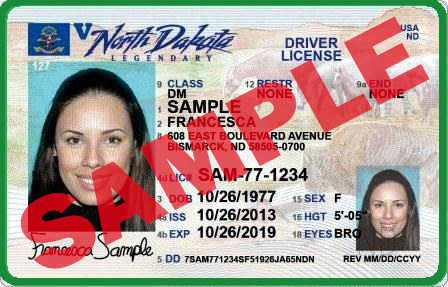 An ND Drivers License Sites will accept this form during the driver's license renewal process. If renewal is not due, an $8 duplicate fee will be charged.